Tom Marchese pulled off a rather impressive poker feat last weekend, winning back-to-back $25,000 High Roller events at the Aria Resort and Casino in Las Vegas. 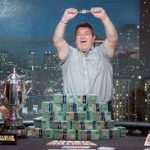 His two-day haul of $681,876 came from fields of just 41 and 42 entries, with Marchese agreeing to a heads-up deal at the High Roller II and a three-way chop at the High Roller III. On the heels of a huge 2014 that brought him more than $4.4 million in live earnings, Marchese is arguably the hottest player in Sin City right now. 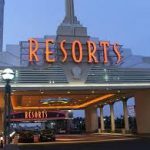 With career winnings nearing $9.8 million and taking down big-name pros in the process, poker champs will likely sulk when Marchese is seated at their tables in 2015. Aria is quickly becoming the “go-to” venue for many poker aficionados, and its recent High Roller events prove the professionals are flocking to the resort. Meanwhile, Tom “kingsofcards” Marchese is rapidly assuming the title of “King of Aria.” Last year alone, he snagged $1.3 million for winning the Aria $100k Super High Roller II, one of his three seven-figure cashes in 2014. Attracting 83 total $25,000 buy-ins for the two High Roller events is impressive, especially considering the clientele. From WSOP bracelet winners to November Nine finalists, the competition was stacked, but Marchese couldn’t be removed from power. With a $1,004,500 prize pool for High Roller II, players knew a substantial payout was theirs should they reach the final six. The hand of the event came shortly before midnight, when Marchese called Jason Mercier’s all-in. Tom’s pocket aces topped Jason’s pocket jacks, and the deal was sealed with a third ace on the flop. The pot of 1.89 million chips with just over 4 million in play gave Marchese a commanding lead that he would ride until the chop. Less than 12 hours later, Tom was back at the felt and continuing his blazing run. Similar to the previous day, Marchese called Andrew Robl‘s pocket jacks all-in with A-K. A king on the river sent Robl packing in 7th, one spot out of the money. 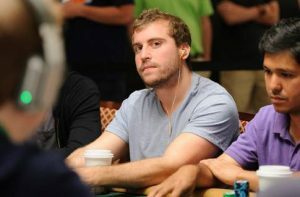 Marchese and the previous night’s 4th place finisher Byron Kaverman, along with Anthony Gregg, played down the remaining six until their three-way deal. Following the extraordinary back-to-back wins, Marchese seemed rather calm about the whole thing. “Chopped back to back 25ks. Fun weekend,” the poker pro tweeted. So Who is Tom Marchese? If you aren’t familiar with Marchese, he’s one of the most promising young stars in the poker universe, and is embarking on his fifth year as a pro. With four cashes of at least $1 million and inching his way closer to the top 30 all-time money list, don’t expect Marchese’s WSOP winless streak to continue for long. Nice haul Tom, keep up the good work! And go on a small vacation away from felt…lot of life outdoors! Good Job Tom. It wasn’t that you had the pocket aces it was the fact you hit trips. Your counting skills are getting good.